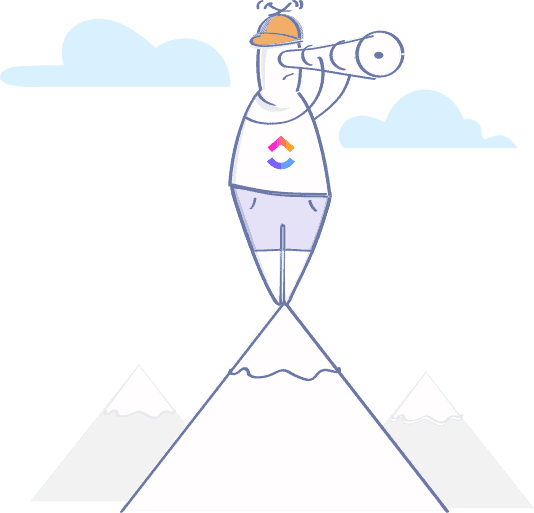 ClickUp has the perfect view for assignees, managers, and everyone in between. 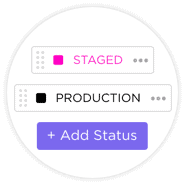 Customize your workflow with stages to keep everyone on the same page or use Simple Statuses for checklists. Unlimited functionality, without complexity. Choose what you'll use and hide everything else. 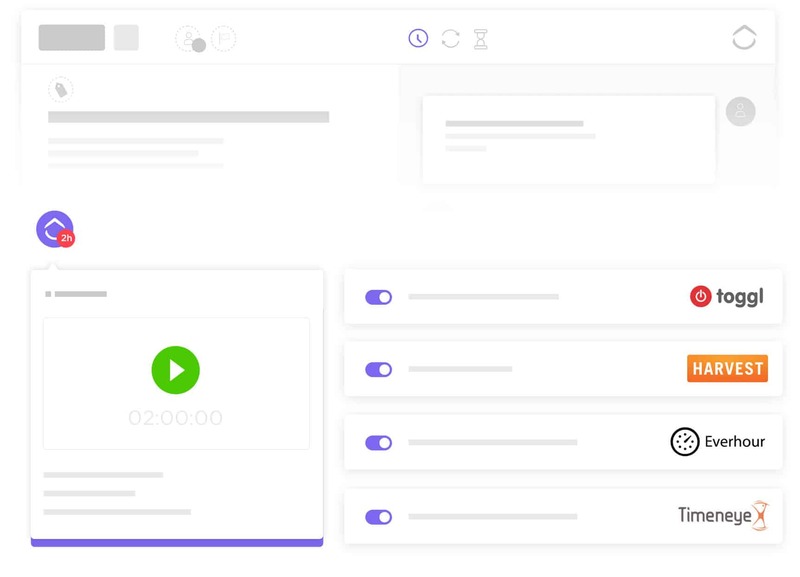 With Box view, each Box is a persons' tasks. 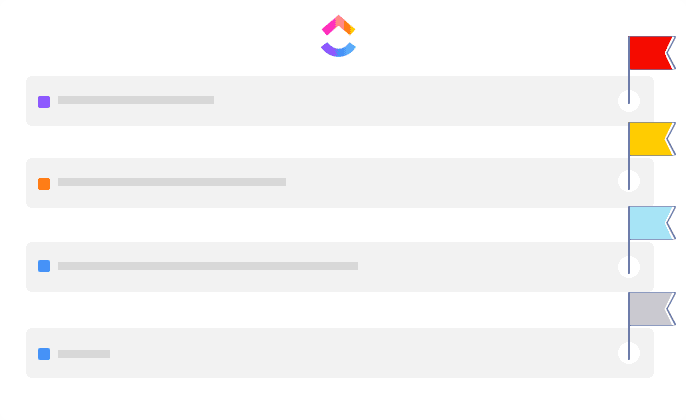 The progress bar shows who has too many tasks. Box view shows what everyone has completed over your chosen time period. 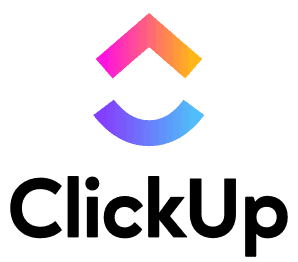 Every single change in ClickUp is automatically and instantly synced on every device. 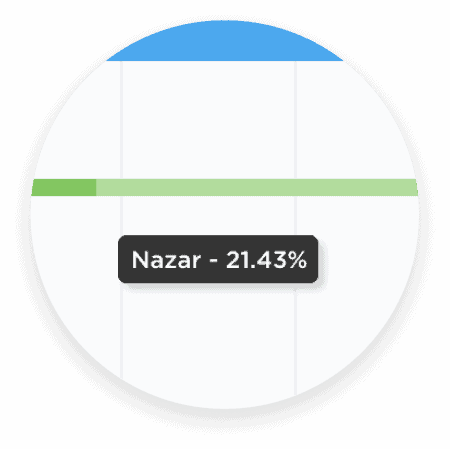 See in real-time when others are viewing or typing. 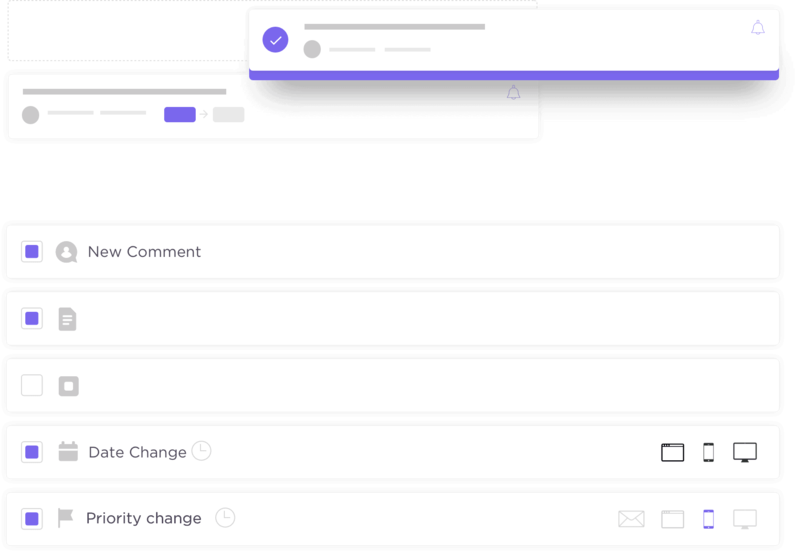 Customize what, when, and where you receive notifications. 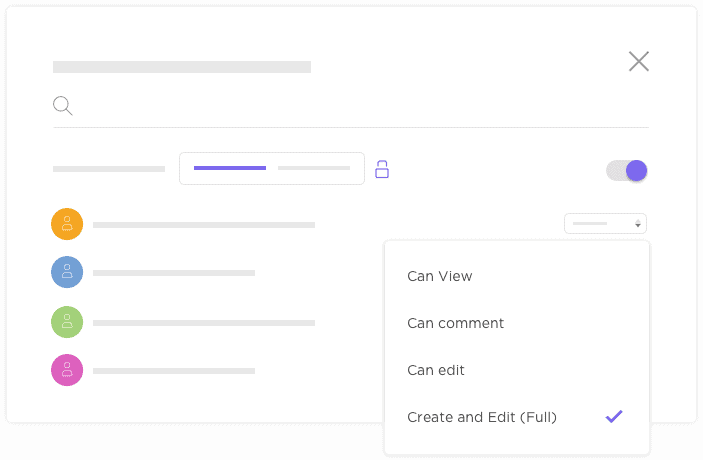 Spaces are top-level places to organize work with customized privacy, features, workflows, tags, and more. 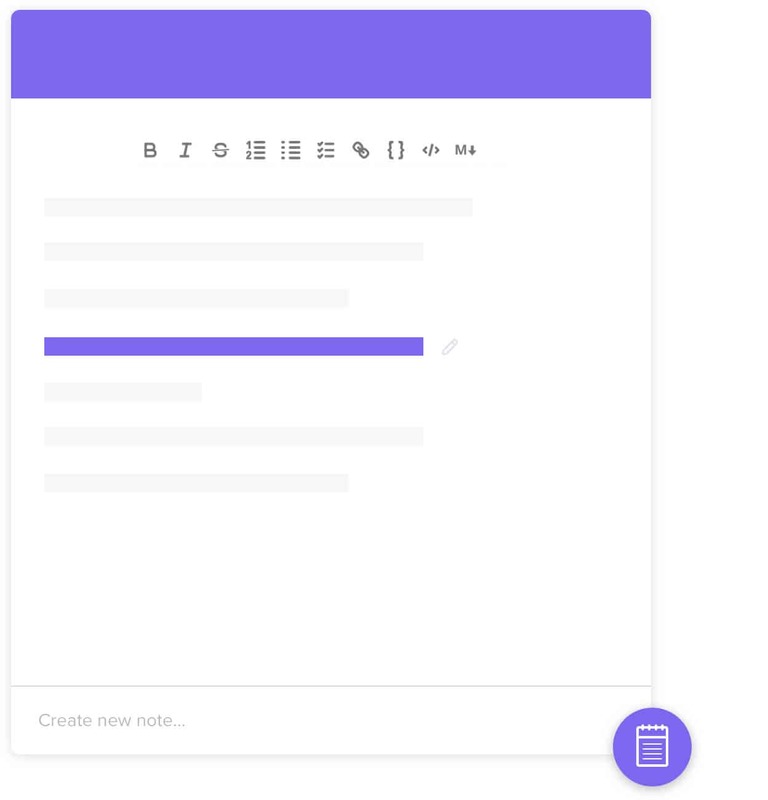 Your own personal note-taking machine. 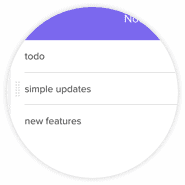 Get things done faster by using the Notepad to brain dump and organize thoughts. Everything else is hidden until you need it. Create simple or complex tasks based on what you need. Use Simple Statuses for checklists, or Custom Statuses for workflows. Use Notepad to organize anything and quickly brain-dump ideas. Use markdown to quickly format notes. Keep moving and create tasks later. An essential for GTD users! Drag and drop within Day, Week, Month, and Timeline views. Real-time bidirectional two-way syncing with your favorite calendar apps. 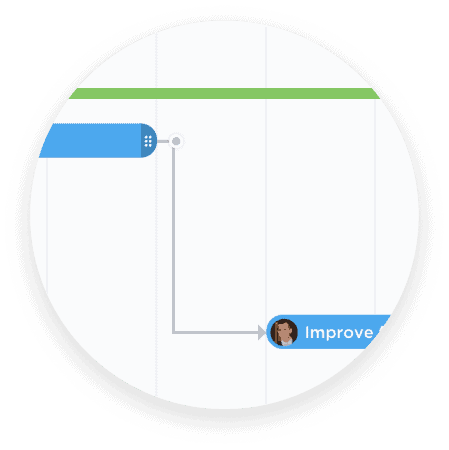 Plan time, manage resources, and visualize dependencies with an industry-leading timeline. 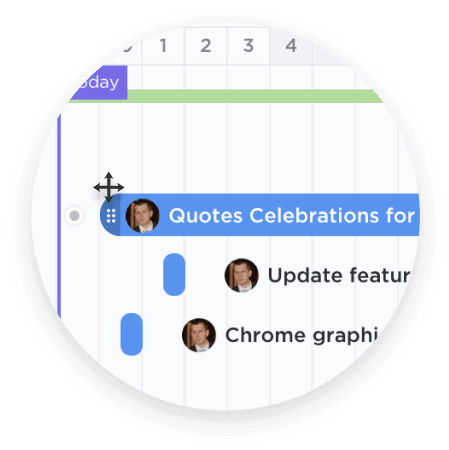 Organize tasks for your team and manage resources with high-level scheduling that can be drilled down. 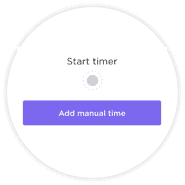 Add Time Estimates for automatic scheduling and A.I. will make your estimates better over time. 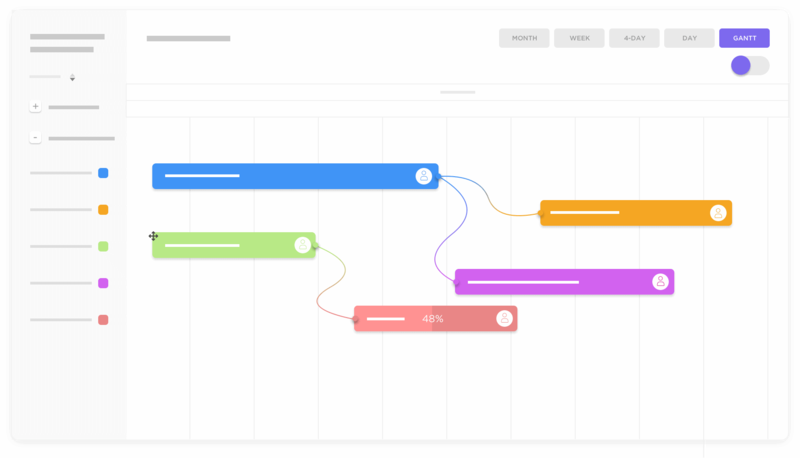 Free, native, and automatic time tracking along with tons of integrations ensure you know exactly how long you and your team are spending on tasks. Set estimates easily by typing any type of time, we'll do the rest. 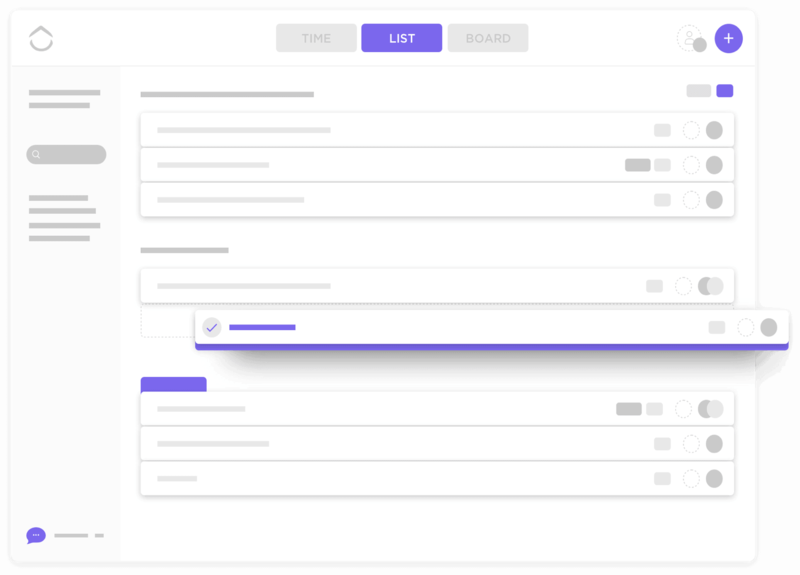 Sort, filter, and edit Time Estimates directly in List view. 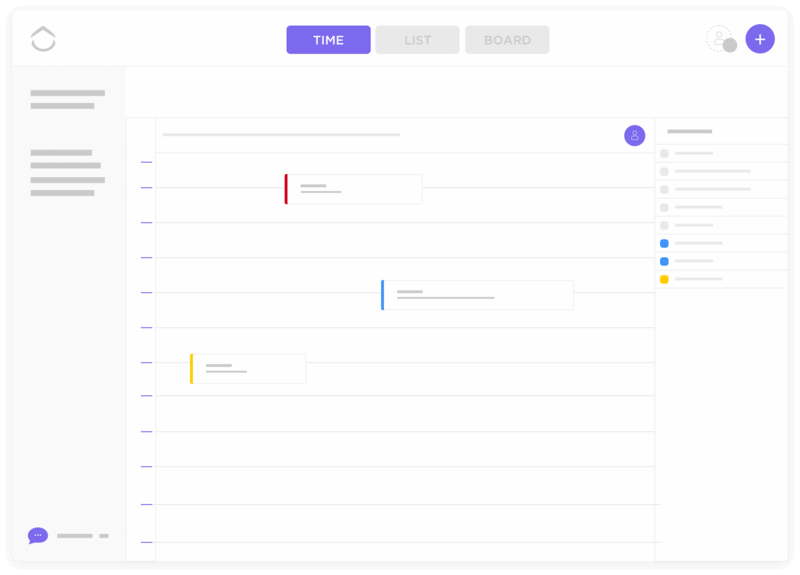 Sort, filter, and edit Time Estimates directly in Board view. No need to use external tools, you can track time without leaving ClickUp. 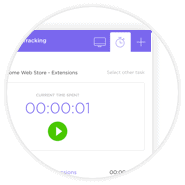 Use the extension to automatically track time no matter where you are on the web. Over 25 native integrations, plus thousands through our friends. 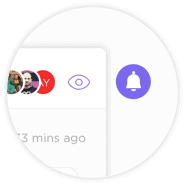 You're in complete control of who sees what - from top to bottom, everything is 100% customizable in ClickUp. Items can be private, shared, or even public. Have peace of mind knowing you control what people can do in ClickUp. 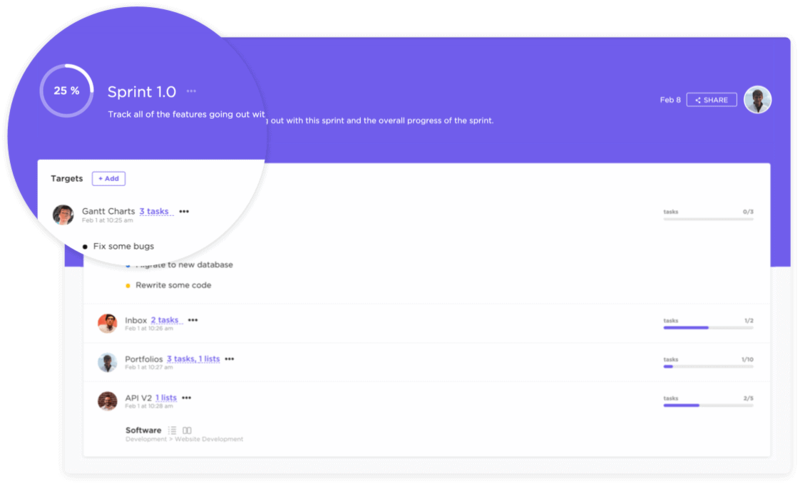 Choose from view, comment, edit, or create permissions for anyone you invite. Guests are people that you don't want having full access to ClickUp. You can control what Guests see (and don't see) along with what they can do. 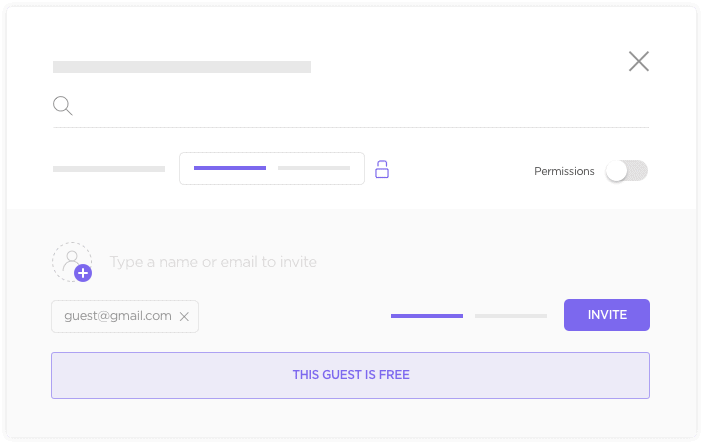 Guests are available free in ClickUp. See exactly who has access and what permissions they have. Hide your Project, List, or task from those who don't need access. 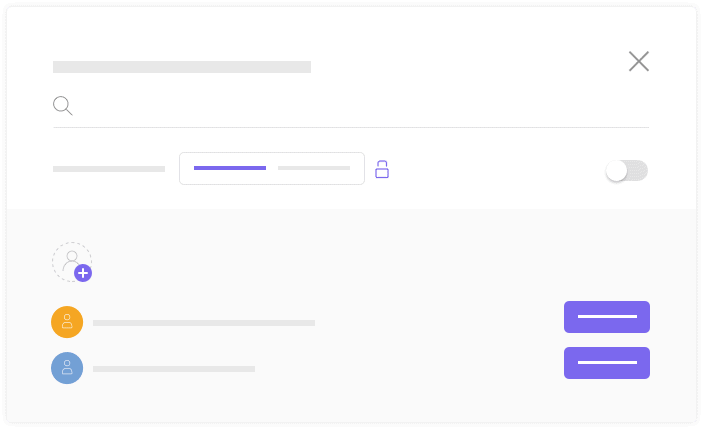 Quickly manage the permissions of all members and guests. This is where you'll give members and guests access to what you're sharing. Decide what people can (and can't) do inside of ClickUp. 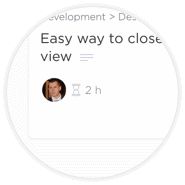 Give Guests access to Projects, Lists and tasks in a limited way. 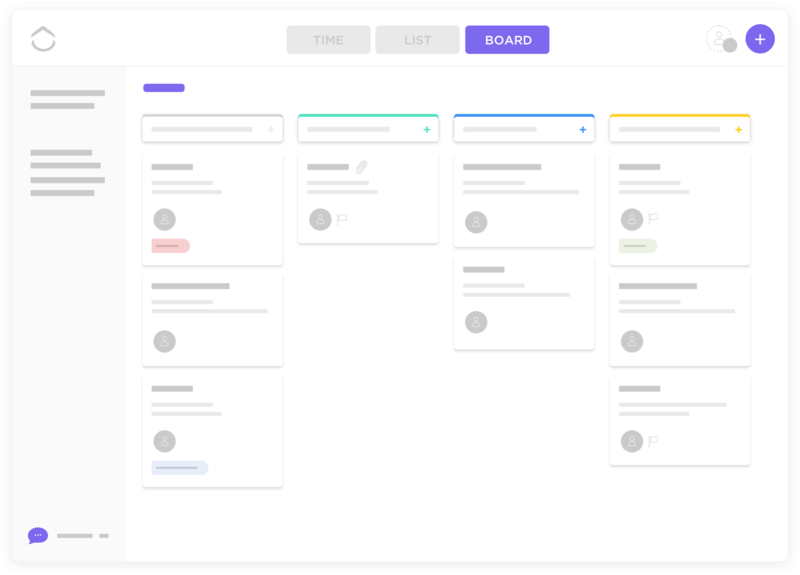 Choose what your guests can do for each Project, List, and task. You know what needs to be done. Objectives track all of the moving parts. How will you measure success? Make it clear to your team with Targets. 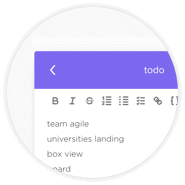 Attach jumbled tasks to a development cycle by setting Targets for each feature you’re building. Make private goals for yourself and monitor your own success. Keep tasks minimized in your tray that you're actively working on and you'll never open a new tab again. If your comment requires action, assign it! Creating an assigned comment means nothing will fall through the cracks. Capture ideas, create an agenda, tackle chores, and so much more with your own personal notepad. Not your normal favorites - In ClickUp, you can save views, filters, and storing - so you can jump right into what matters. We're talking the most robust recurring tasks in the world. You can literaly create any type of repeating event imaginable. 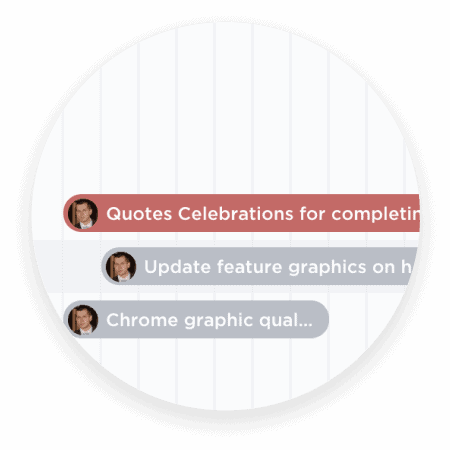 See in real-time when other people are viewing, commenting, or editing a task you're looking at. Creating tasks with your voice is empowering, convenient, and freaking fun! Use Alexa or Google Assistant to talk to ClickUp. 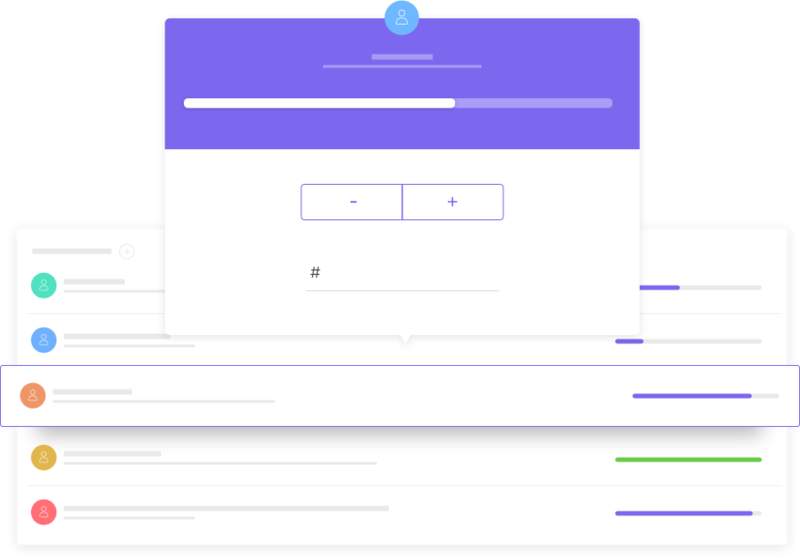 Get granular with what notifications you receive, when you receive them, and where they’re sent to. 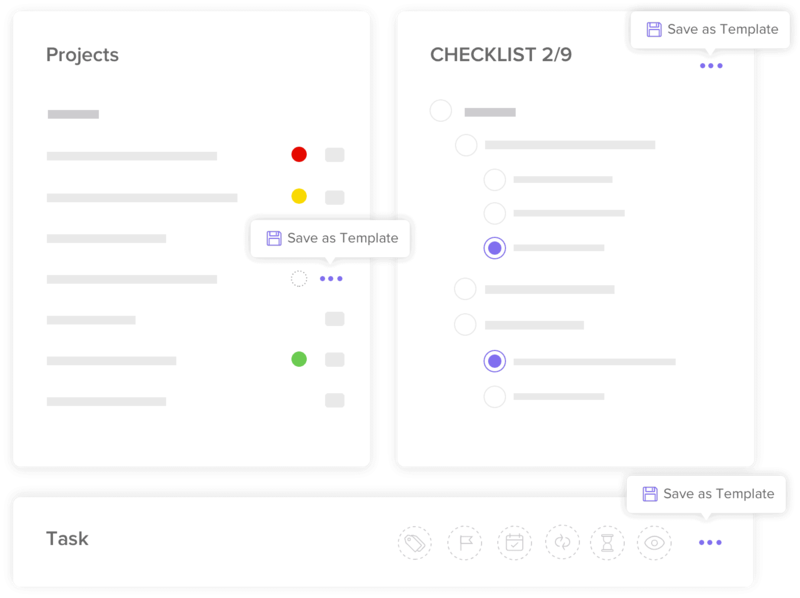 Save Tasks, Projects, Lists, Checklists, and even Spaces as templates. This is efficiency and process management on steroids. 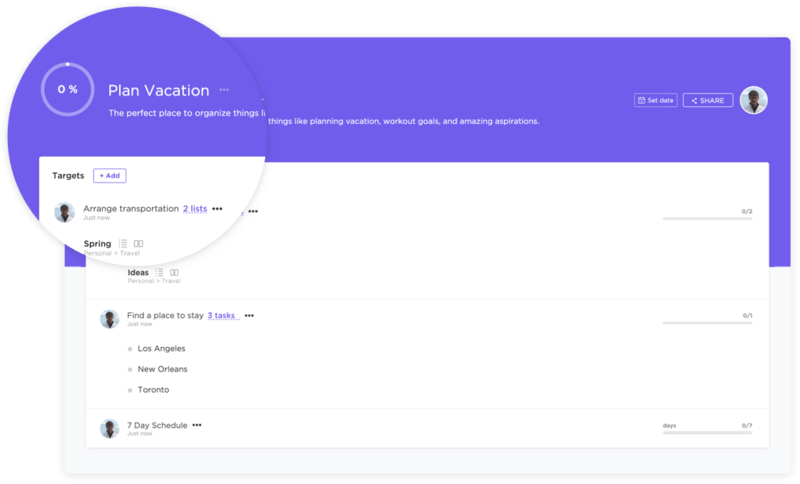 No more flipping through projects to find tasks. 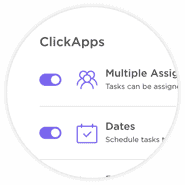 In ClickUp, you can view all tasks in one view - and even sort and filter. Do everything without ever clicking your mouse. Just type / when creating or editing tasks. 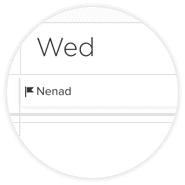 Drag and drop tasks onto Day, Week, and Monthly calendars. Tasks will automatically be scheduled based on time estimates. Problem 2 How do I know what everyone is working on? Problem 4 How can I see ALL tasks, together? 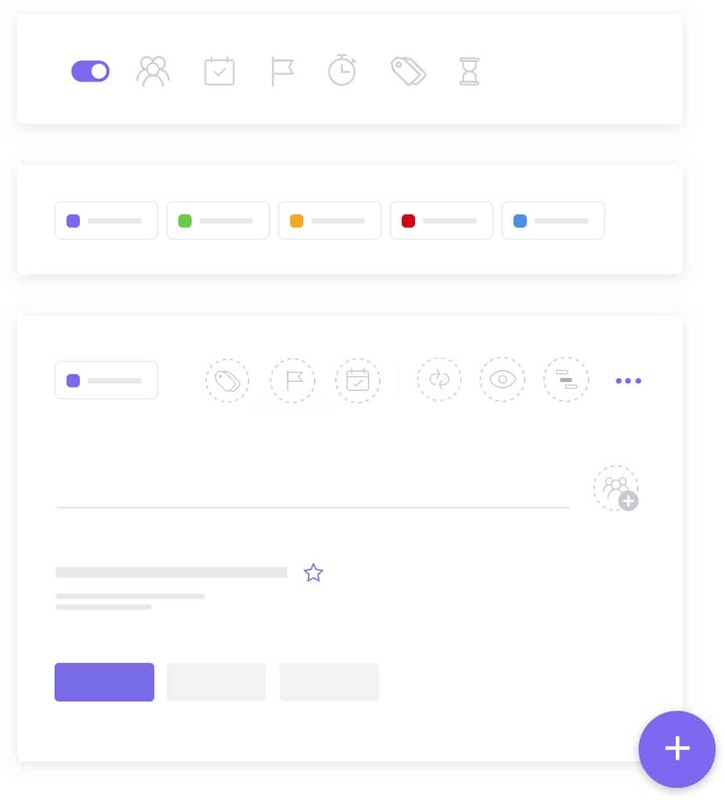 ClickUp's Spaces are customizable, so every team can use ClickUp. 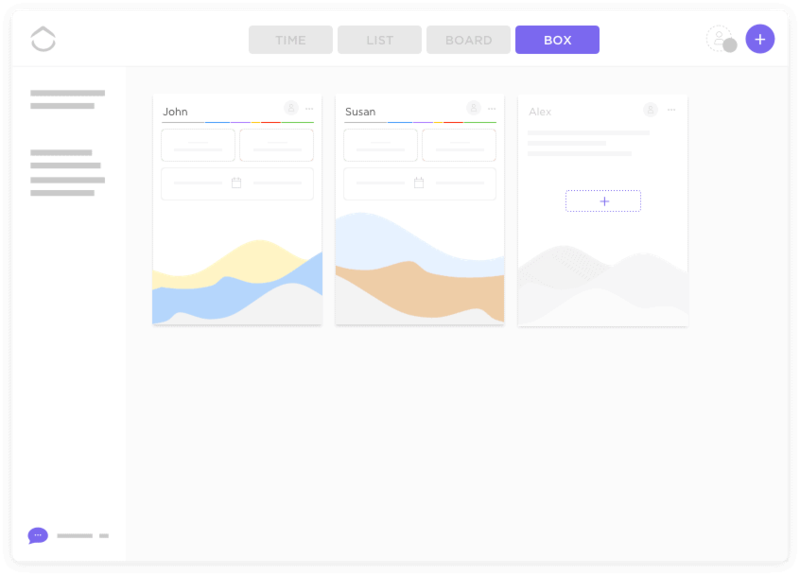 ClickUp merges personal productivity with team productivity, so reminders, notes, and calendars are all in the same platform. 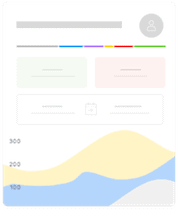 With this view, you can quickly examine users' task counts and measure them against your own progress. Each box represents a member of your team and allows you to view tasks in accordance with their current status and List. 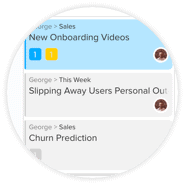 ClickUp's LineUp feature provides a global priority for tasks based on each person. This means everyone knows what to do next and what everyone else is focused on. 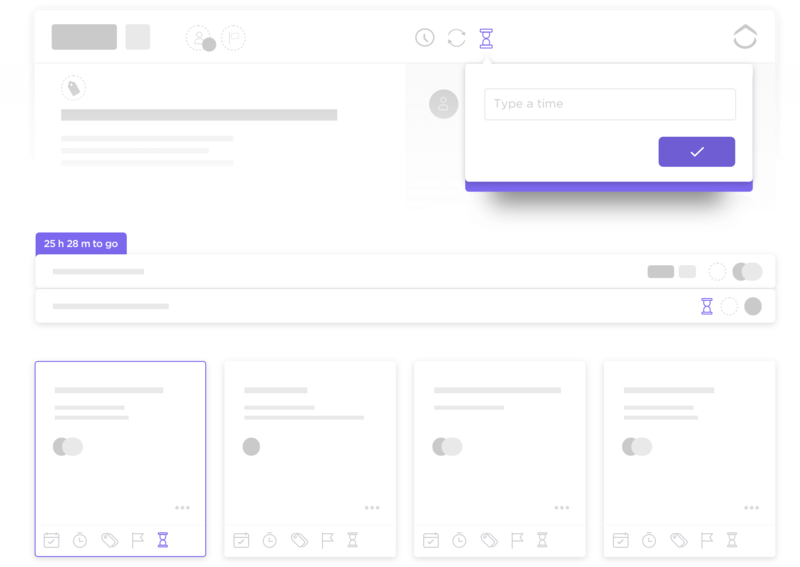 View every single task across your entire team in any way you want. 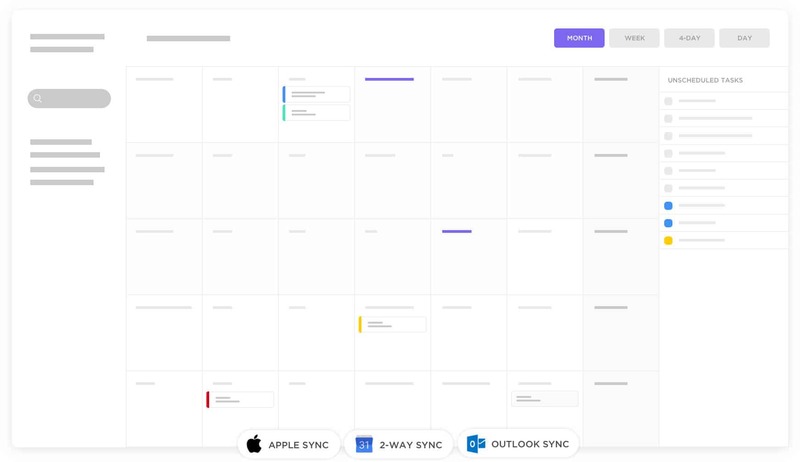 Sort, filter, and manage all tasks at once! 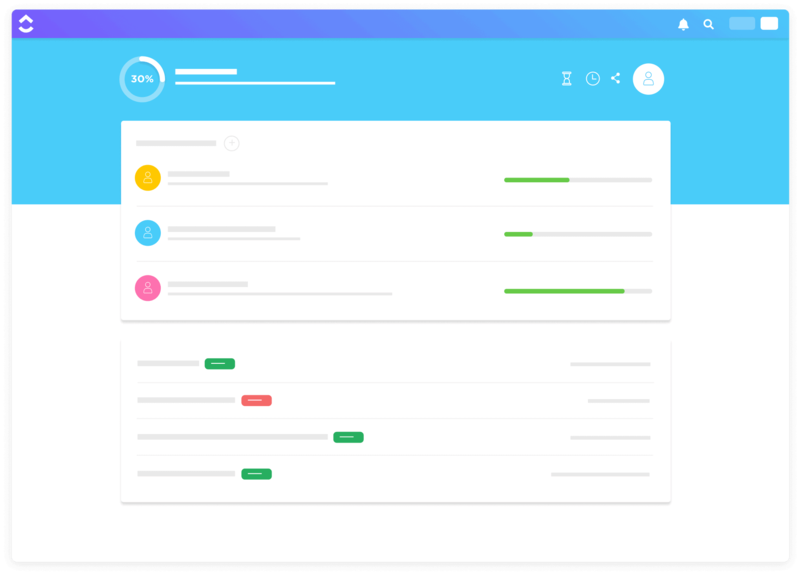 Free and native time tracking along with tons of integrations ensure you know exactly how long you and your team are spending on tasks. Easily manage and attach Google Drive and Dropbox files to tasks directly from within ClickUp. Real time, 2-way sync between Google Calendar and ClickUp. Update a task, see the change in Google. Update an event, see the change in ClickUp. Work with your favorite devops apps without leaving ClickUp. 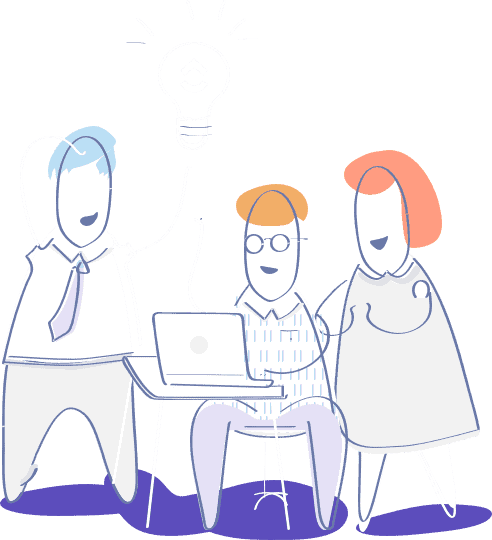 You can attach, manage, and collaborate with version control integrations.